Does every momma look at her child and think he's even cuter than the original? :) My entire family is dressing a characters from the Super Mario Brothers games this Halloween and this lucky three-year-old gets to be Toad. Alrighty, here's how to make your own super cute Toad. First let's start with the easy stuff - vest and pants. Vest pattern. I used Simplicity #9854. I'm all for originality, but when you can buy a pattern for $0.99, why reinvent the wheel? I used Simplicity #9854. Don't be fooled by the girls pictured on the package - when it comes to children's sizes, a vest is a vest. All of the vests on the "boy" patterns looked like the type men wear with three-piece suits, which is not the cut that matches Toad's vest. TIP: Children's sewing patterns tend to be cut short and wide. My son is tall and thin, so I used scrap paper to lengthen the pattern by 4". There's a line marked on the pattern just for this purpose - to lengthen or shorten as necessary. I made the vest following instructions for View F, minus the side slits. Rather than lining the vest in a contrasting fabric, I used the same blue satin. Time to prep the trim. I used Fray Block on the ends, then tucked them under before stitching. Sew on the trim. I chose this trim because I really liked the pattern, but it had zero give going around curves. Rather than fight with it going around the back of the neckline, I stopped the trim at each shoulder seam. Ta-da! What a royal looking vest! If you're lucky enough to find white pants in October, bless you! I couldn't even find sweatpants, so I made my own pants for Toad. White fleece (or other white fabric). Pant pattern. I used Simplicity #9854, the same pattern that I used for the vest. Again, I lengthened the pattern by 4", though I ended up cutting off so much of the hem that it probably wasn't necessary. Moving on to Toad's signature topper - the mushroom hat. I owe a big, huge thank you to Kris at Summer at Grandma's House for helping me understand the structure of the hat. Red fabric, preferable one that doesn't fray. Circle template. I used a round take-out container. Narrow elastic for chin strap. I found a white sailor's hat in the costume section at Target. Lincoln wanted sparkly red fabric for the hat. Disco Toad? 1. Cut white fabric into a circle. A 30" circle fit my three-year-old perfectly. For an adult, I'd probably try 36"-40". 2. Fold circle into sections for darts. If you can finger press creases, great. I used my iron to make creases while my fabric was still folded. When you unfold your circle, you should see sections like this. I intended to make a dart ever other section, but goofed along the way. It's okay - I was still able to make it work. If you're holding one crease up in the air, the creases to the immediate right and left are touching. Pin those together. Sew a straight stitch from the dot to the edge of the fabric, following the line you drew. Cut away the fabric on the side of the line where the fabric formed a fold. Repeat making darts all the way around the circle. 4. Attach white fabric to hat. Gather the edge of your jelly fish - er, fabric. Pin to hat. TIP: Be sure to leave a hole for stuffing. In hindsight, had I been able to find a beanie or other hat without a brim, I would have been able to finish the edges more neatly. However, the sailor hat worked. Plus it's a Halloween costume - I don't really mind unfinished edges that the rest of the world will probably never see. My first attempt at making the Toad hat was waaay too big for my little three-year-old. I let Lincoln stuff the too-big-hat while I worked on the smaller version along side him. 5. Embellish hat with red circles. Pin to hat and sew by hand one at a time. 6. Add chin strap, if necessary. You won't see the chin strap in the photo below. The photo shoot proved that my wiggly, squiggly three-year-old likes to wobble his head way too much for the hat to stay on by itself. I added the elastic later, then my camera battery died. But trust me - the chin strap works great! Give your Toad a hug and have a happy Halloween! Thanks for visiting my tutorial! If you make a costume based off of these instructions, please leave a comment and let me know. I'd love to see your good work! If you'd like to see my other Mario Bros costumes, please click here for my Goomba tutorial and here for Princess Peach. Happy Halloween! another amazing costume! you're boys are so lucky yo have such a crafty momma. Thank you soooo much, my son wanted to be toad for Halloween this year, and for the life of me I couldn't figure out how to make the hat!!! You totally saved me, so thanks for posting this! Mother of 4 who's sewing some costumes! wow this work is amazing, I had to do it for me. the hat is not so easy and I found myself wondering how to do it, great work!! would you be interested in making a hat for my son? I will be happy to pay! email me. Hi Rachel. Thanks for sharing your hard work. I am making the Toad costume for my son. 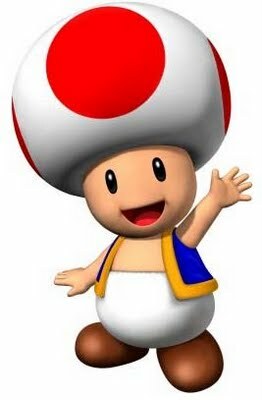 What is the diameter of the red circles on Toad's hat. Wendy, the red circles are 8". Good luck! very good instruction. Thank you very much. Thank you so much for posting the instructions for making the Toad costume. If not for you, I would have had no idea how to make it. My grandson was thrilled with his costume. Thanks again!! You're the best!! I used the hat tutorial to help me with my Toadsworth cosplay (http://www.cosplayisland.co.uk/costume/view/7616) - thanks a lot! :) My first time making a big hat like this and I love how mine came out! This was just the post we needed to get our hat to turn out great. http://danielleyarian.wordpress.com/2012/10/21/super-mario-costumes/ I just wanted to say thank you and I am letting everyone know where I got the info. Love this!! I'm planning to make it for my hubby. My daughters are going to be Mario and Luigi, and I'm going to use your Goomba (the girls call it a chicken nugget) pattern for the baby! I love your princess peach dress, but I'm not sure I'll have enough time to make that for myself. I'm thinking about just appliqueing (sp?) a ghost face on a white shirt. I made this toad hat for my 2 &1/2 yr old last week for a costumed event at my work place. This tutorial was very helpful. I used only a 25 inch circle and it was the perfect size for my son. One other thing I did was take the brim off the hat to lessen the thickness for sewing that seam. I also sewed the red circles onto the white circles with a zigzag stitch before sewing the white circle onto the hat...it was very efficient. :) Thank for posting this tutorial. Going to try and make this (with grandmas help) for my 3 year old! Thanks for the information! I have followed your wonderful 'HOW TO' Toad Costume tutorial. So much EASIER than the porcupine costume my grandson wanted last year.! At his request, I also made a Red Toad costume for his favorite stuffed animal! Thanks for making my life easier! Hi, I'm Rachel. I post as often as my three kids let me, but I always read your comments. Thanks for stopping by! a 3x4 card: happy easter. Considering adoption? 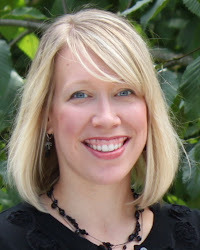 Please visit my friend's adoption blog.